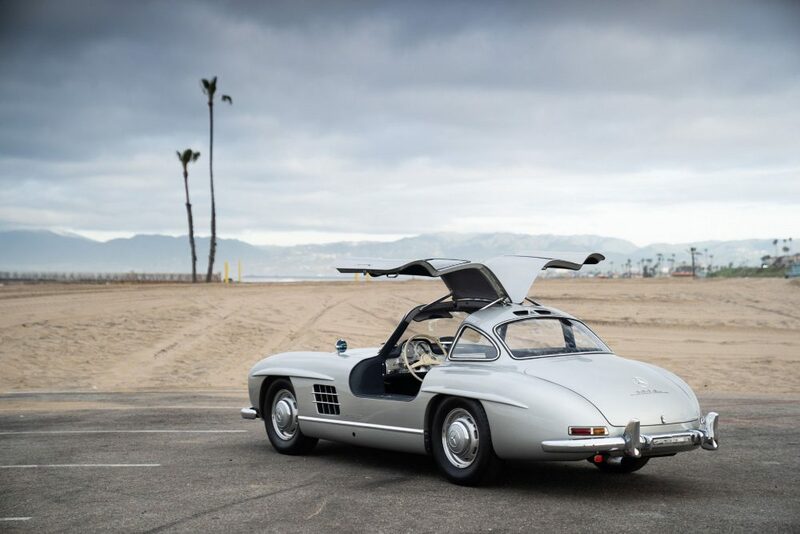 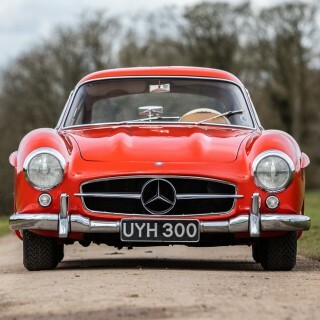 The 300SL Gullwing was borne out of Mercedes-Benz’s extensive racing experience and introduced a number of advanced technologies that made it one of the fastest and most powerful sports cars in existence. 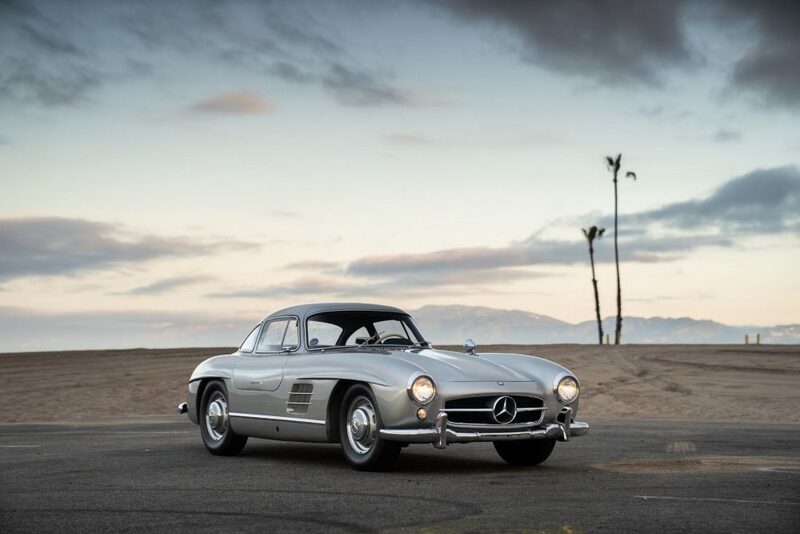 The 215hp 3.0-liter straight-six featured fuel-injection for the first time on a road-going car and the curvy coupé was capable of an impressive 161mph with the appropriate gear ratio. 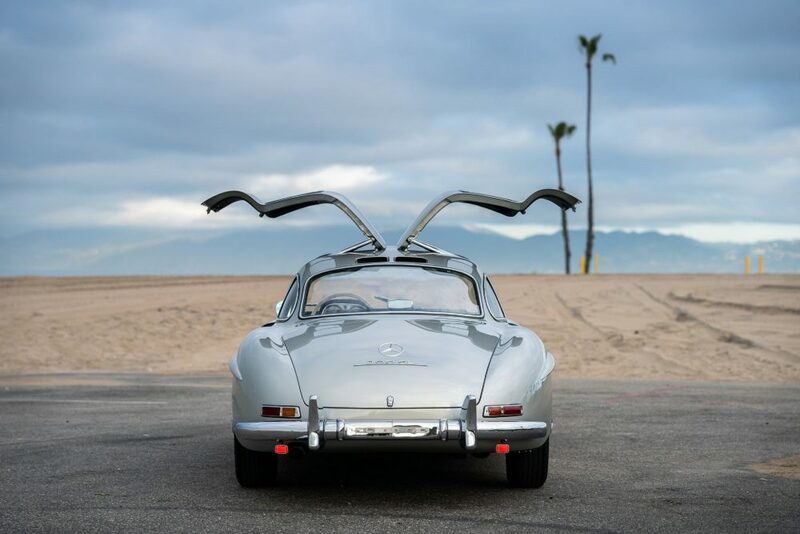 Aside from its impressive performance, the 300SL was beautifully styled; those trademark Gullwing doors set it apart from just about anything else on the road, both then and now. 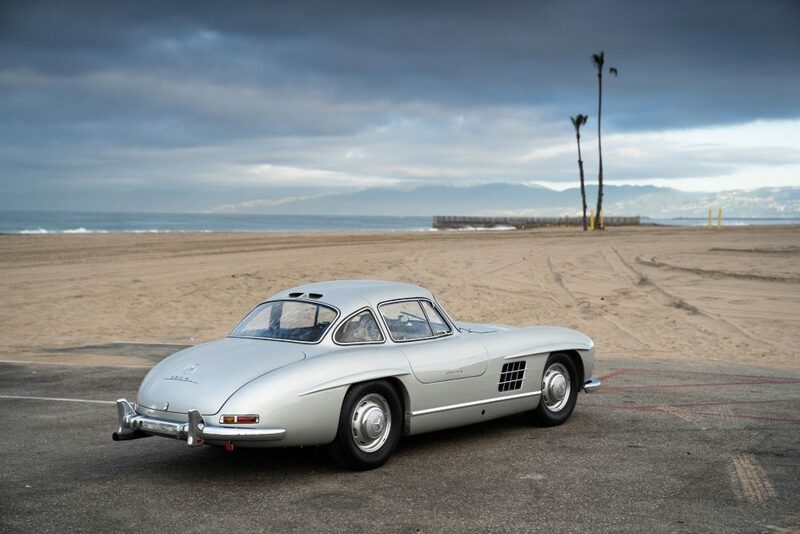 The silver example you see here was completed in May 1955, making it one of the earlier of the 1400 coupés produced. 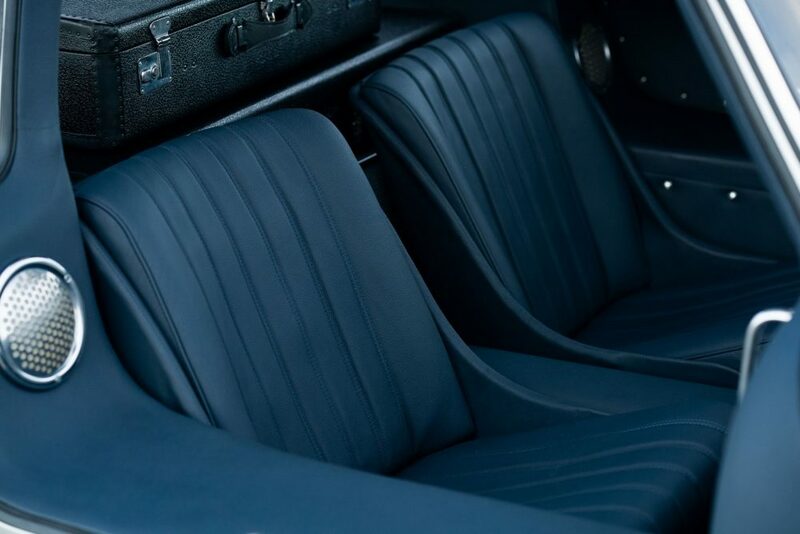 Originally painted in Ivory over blue leather it was repainted silver in the late 1990s. 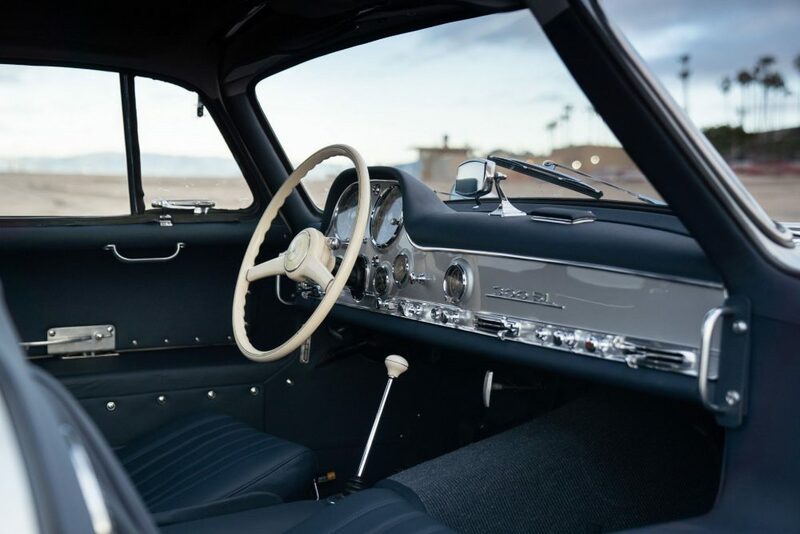 Its current owner, Maroon 5 lead singer Adam Levine had the interior retrimmed in its original blue color. 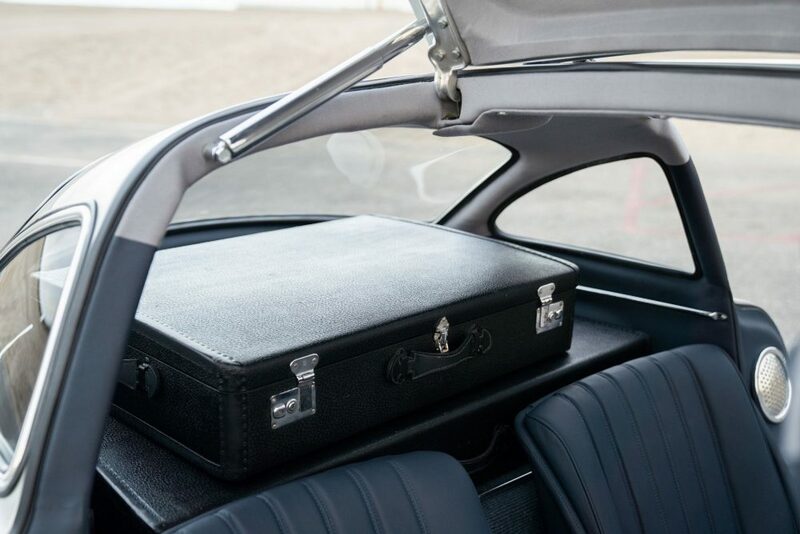 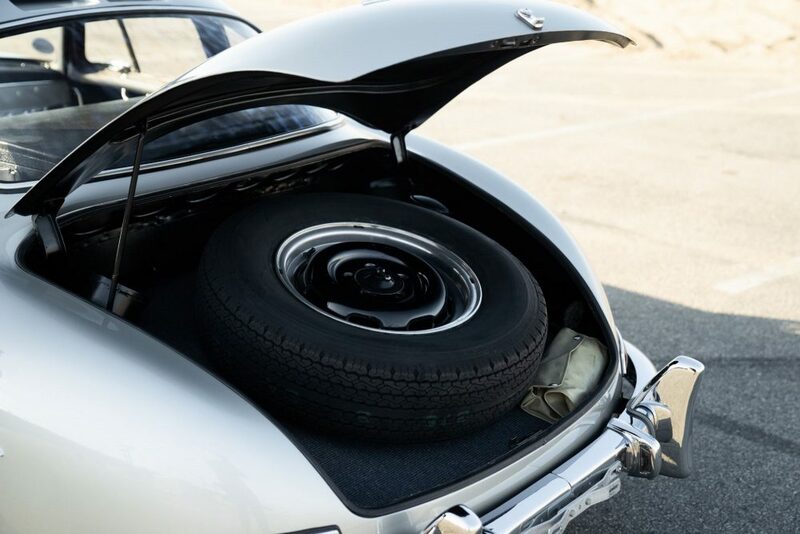 The 300SL comes with its original tool roll and fitted luggage set and is a matching numbers car. 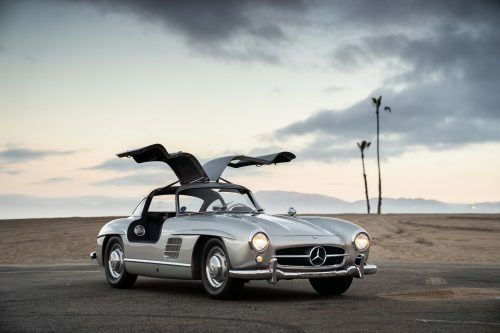 Unlike some 300SLs that have crossed the auction block in the past this particular car has been used as intended, although the 51,478 miles indicated on the odometer means that it has averaged a mere 804 miles per year. 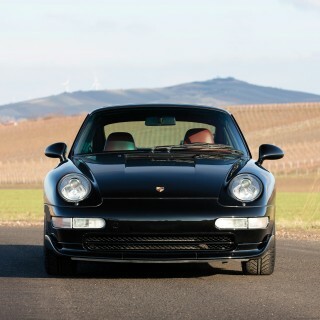 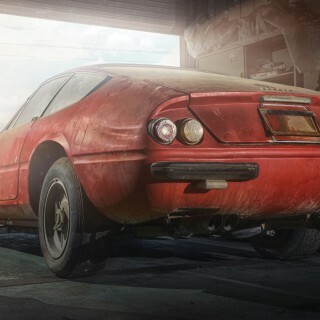 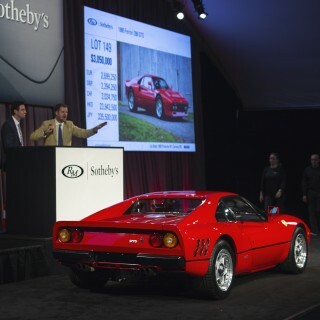 The auction estimate stands at between $1-million and $1,4-million. 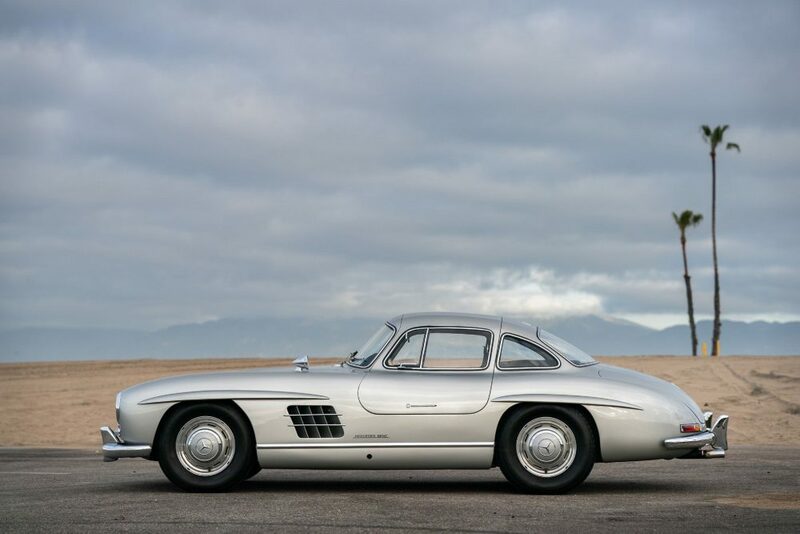 This is in line with cars having covered similar mileages but a fraction of the $5-million that a barely-driven 300SL Roadster achieved at an Artcurial auction last year. 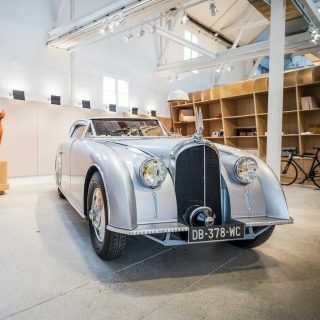 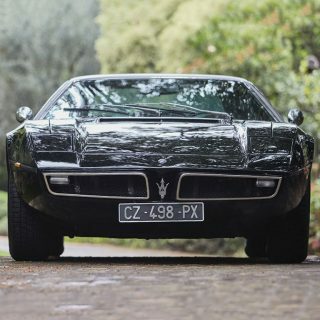 Still, the celebrity link may see it sell closer to its higher estimate and at least the new owner won’t be scared to drive it, even if it is only 800 miles a year.